The government has signed up only about 40 mainstream private sector employers to its flagship Disability Confident employment scheme in the three years since it was launched by the prime minister, new figures reveal. An analysis by Disability News Service (DNS) shows that – with the exception of 15 law firms, and recruitment, welfare-to-work and employment specialists, which often have a financial interest in disability issues – the government appears to have persuaded just 26 non-disability-related private sector organisations to sign up to its national scheme, and one of those is a small café in Cornwall. Disability Confident was launched in July 2013, and its aims was to “debunk the myths around employing disabled people and encourage employers to take advantage of the wealth of talent available”. But fresh analysis of the partners signed up to Disability Confident shows that of the 126 organisations, nearly half – an estimated 55 – are focused on representing or working on behalf of or for disabled people, such as Suffolk Coalition of Disabled People, Mencap and Disability Rights UK. Another 18 are public sector organisations, while there are also three quangos and one sports governing body, but only about 40 mainstream private sector companies*. Those 40 include major employers such as Airbus, Asda, Honda, Balfour Beatty, Barclays, Fujitsu, National Grid, Taylor Wimpey and Sainsbury’s… and the Cornish Maid Café in Falmouth, Cornwall. The analysis suggests that the efforts of successive Tory ministers for disabled people – Esther McVey, Mike Penning, Mark Harper and Justin Tomlinson – have failed to persuade more than a tiny minority of businesses across the country to take the scheme seriously. 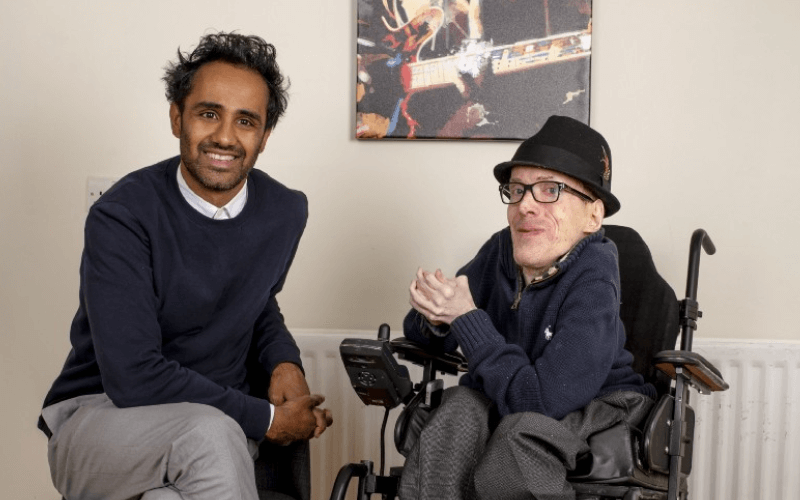 David Gillon, a disabled activist and blogger who has led criticism of Disability Confident since its launch by the Department for Work and Pensions (DWP) in 2013, said the numbers were “astoundingly pathetic”. He said there were gaping holes among “private sector big names”, with Asda, Marks and Spencer and Sainsbury’s signed up, “but no Tesco or any of the second-tier retailers”, and “huge holes where entire industries are missing – no train operating companies, no airlines, none of the big logistics companies”. He said there was one government department, a handful of local councils, only one NHS trust, and no police forces, while “the number of partners who are dependent on DWP contracts is really quite remarkable”. Gillon said Disability Confident had signed up “a handful of massive big-name firms”, but that there was a “huge hole where all the large and medium scale companies should be, and then a tiny handful of small companies. “And that small business take-up seems to be entirely from companies that are run by someone with an interest in disability employment, or that are non-profits with a focus on employing disabled people. 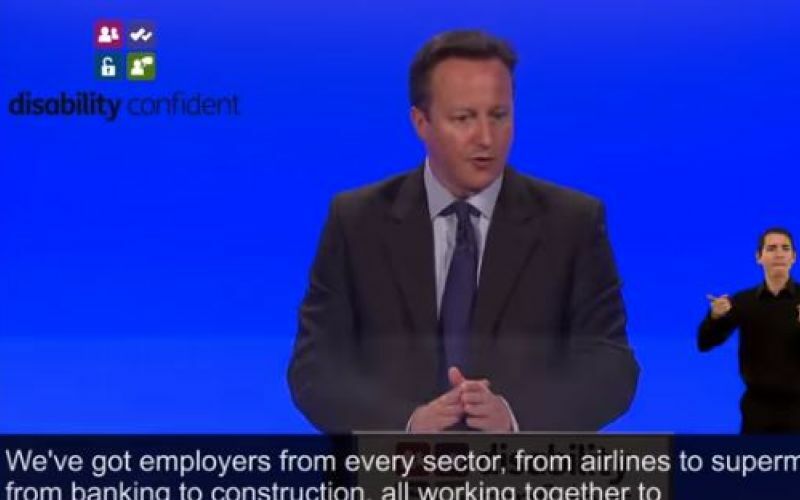 “Whether big or small, these are the employers who don’t need Disability Confident’s message. “There’s no sign of any penetration into employers who actually have problems with employing disabled people, whether through incompetence or outright discrimination. Debbie Abrahams, Labour’s shadow minister for disabled people, said the analysis by DNS showed “yet more evidence of this Tory government failing disabled people”. She said: “I am concerned at the small numbers of employers who have signed up to the Disability Confident scheme. “In addition, the lack of evaluation or transparency of the Disability Confident scheme raises questions about the transparency of employers, who should be held accountable to a framework of standards, as well as sharing best practice. “I know from speaking to disabled workers, as I did recently at the TUC’s Disabled Workers Conference, that some employer attitudes are too often a barrier to effectively addressing the disability employment gap. “Yet Disability Confident is not seen as a mechanism that has improved attitudes since its launch in July 2013. “If the Tories were serious about improving the situation, there would be a series of measures in place to support into employment those disabled people who are able to work. DWP refused to respond to the DNS analysis or comment on the number of partners, instead claiming that more than 550 employers had “registered their interest to become more Disability Confident” since December. Disability Confident has frequently been criticised for its “patronising waffle”, which activists say ignores “institutionalised disability discrimination” at a time when ministers have been smearing disabled benefit claimants as “workshy”. The former work and pensions secretary Iain Duncan Smith was even accused of lying to his own party members about the success of the campaign when he told the 2014 party conference that more than 1,000 employers had “signed up” to Disability Confident, when in fact just 376 had just expressed some interest or support for the campaign, and far fewer than that had signed up as partners. And last July, the minister for disabled people, Justin Tomlinson, announced that Swansea had become the UK’s first “Disability Confident City”, but was then unable to explain how and why it had earned the accolade.